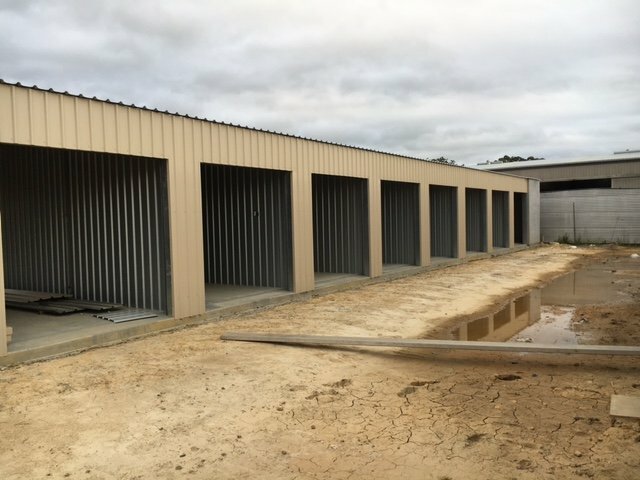 Over the past few years Williams River Steel has built close to 300 units for Novine Pty Ltd as well as over 2500m2 of cantilevered awnings for caravan, boat and mobile home storage. 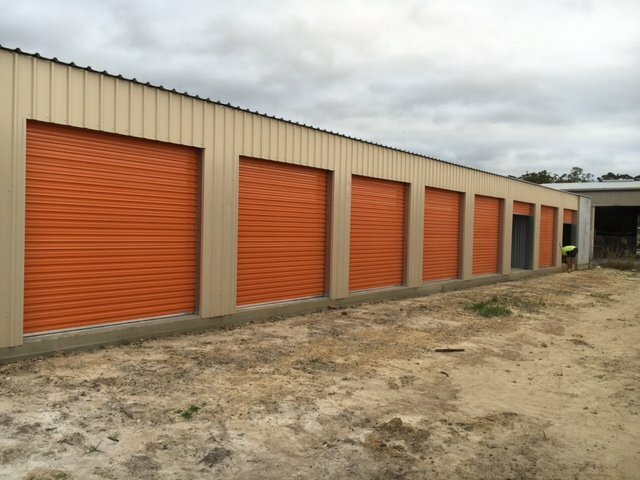 Hi -Tech Storage found their units were often rented to capacity so they purchased the block adjacent to their current premises on Craft Close in the Hi Tech Industrial area and contacted Williams River Steel to build another four storage buildings providing an additional 68 units. Precast panels were used for the boundary walls of the buildings and remainder of the walls were built using Colorbond wall sheeting. Each unit will accessed by a single roller door. The units have recently been completed by our team in Coffs Harbour.